Secret Superstar has joined this prestigious list which also has names like Baahubali 2, Newton. Kaabil and much more. 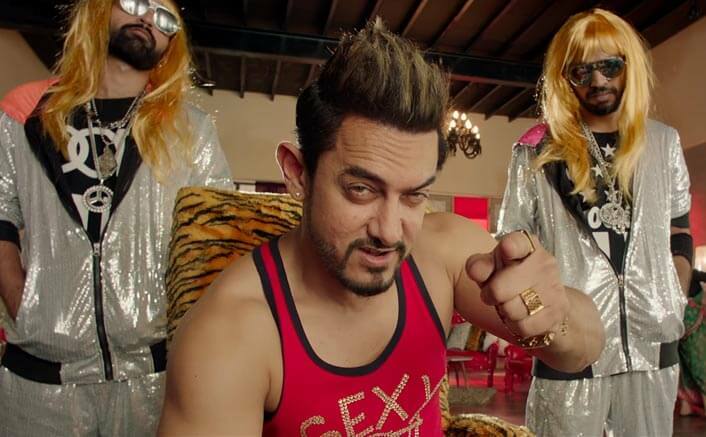 Secret Superstar, though facing an extremely tough competition from Golmaal Again, has managed to be a profitable venture for makers within 10 days of its release. It has entered the list of most profitable movies of 2017. The movie had been made on a moderate budget of 25 crores (including P & A).Secret Superstar has done the total business of 50.50 crores*. The film made a profit of 25.50 crores which takes its profit percentage to 102 %. Thus making it a profitable venture for the makers. Secret Superstar has joined this prestigious list which also has names like Baahubali 2, Newton, Kaabil and much more. Aamir is happy with the performance of Bollywood films Golmaal Again and Secret Superstar at the box office. “This Diwali has been great for the film industry. Golmaal Again and Secret Superstar have become super hit! Judwaa 2 also did really well two weeks ago, so now I feel good phase arrived in the industry,” he said. The actor is hoping the good phase continues with Padmavati and Tiger Zinda Hai. The Release Date Of Varun Dhawan’s October REVEALED! However, Aamir feels one can’t just determine the success of the film with numbers. “Box office numbers are just one yardstick about the success of a film. If you see the numbers, we have earned double than the budget of the film. Normally, the film which recover its cost is called a hit, then this film should be called a super hit,” he said. Aamir will next be seen in Thugs of Hindostan. Secret superstar is an awesome movie, i urge everybody to go and see the movie and not give in to the negativity created by some ajay devgan fans. It’s awesome movie.Every parent need to watch this movie.It’s amazing to watch how Amir team creating such wonderful soulful scripts. 👍Amir. so Aamir works for free in the movie? akshay in toilet also free? and hrithik works for free for kaabil!!! the rest is understandably low costs.